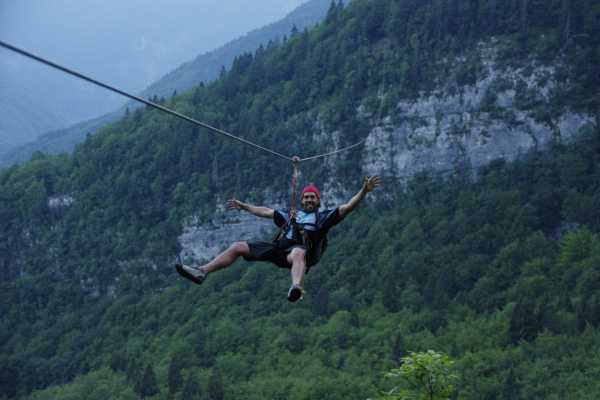 Zipline consists of a pulley suspended on a cable. You are sitting in a harness which is connected on average 600 m long wire. You are sliding with the pulley between two mountains by gravity. There are 5 rides which have an average 30 m altitude difference.